Bastar is a district of Chhattisgarh State. 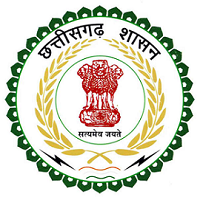 The headquarters of Bastar district and Bastar division is Jagdalpur. It was first known as Dakshin Kaushal. It is known for the beautiful forests and tribal culture,because of this it is called as the cultural capital of the state. Spread over 6596.90 sq km, this district was once bigger than a state like Kerala and countries like Belgium, Israel. It is rich in tribal communities, natural beauty and natural resources . Starting from Orissa, the Indravati river, which is about 240 km long flows throgh Dantewada and Bijapur before it merges in Godavari near Bhadrakali , is a symbol of faith and devotion for the people of Bastar. Jagdalpur is a major cultural and handicraft center. Historical and entertainment related items of Bastar’s tribal people have been displayed in the Anthropological Museum at Dharampura. Dancing Cactus Art Center, an outstanding gift of the renowned art world of Bastar. The people of Bastar district are rich in rare artwork, liberal culture and innate nature. Bastar district is full of dense forests, high hills, waterfalls, caves and wild beasts. Bastar Mahal, Bastar Dussehra, Dalpat Sagar, Chitrakot waterfall, Tirathgarh waterfalls, Kutumasar and Kailash caves are the main centers of tourism. Chitrakote Waterfall is a beautiful waterfall situated on the river Indravati in Bastar district of Chhattisgarh state of India. The height of this waterfall is 90 feet. The specialty of this waterfall is that during the rainy days, this water is reddish, it looks absolutely white during the summer moonlight night. The waterfall is located at a distance of 40 km from Jagdalpur and 273 km from Raipur . Chitrakote waterfall is Chhattisgarh’s largest and most water-logged waterfall. It is considered as the main waterfall of Bastar division. Due to being adjacent to Jagdalpur, it has also gained fame as a major picnic spot. Due to the similar shape of horse feet , this fall is also called Niagara of India. Chitrakoot waterfall is very beautiful and the tourists like it very much. A large water body falling in the middle of the strong trees and Vindhya ranges, which falls from this water fall, attracts tourists’ attention. The famous Chitrakote falls ,”Niagra of India” is visible in every season, but seeing it in the rainy season is a more exciting experience. The roar of huge water from the height of the rain creates thrills and shudder.The beauty of these springs in the rainy season is very high. During the July-October period, it is appropriate for visitors to come here. Dense forest surrounds the picturesque waterfalls. , Which further enhances its natural beauty. This place has been enlightened with full illumination in the river. The beauty of the falling water from the waterfall can be seen with the tourist light. At least three and a maximum of seven streams fall from this waterfall on different occasions. Tirathgarh waterfall comes under Kanger valley in Bastar district of Chhattisgarh. This waterfall is 35 km from Jagdalpur in the south-west direction .The famous Tirathgarh waterfalls, known as the “Magician of Kanger Valley”, are among the highest waterfalls in India. It is counted in the highest waterfalls of Chhattisgarh. The water flows from 300 feet of height. Kangar and its tributaries, ‘Manuga’ and ‘Bahar’ together produce this beautiful waterfall. With the huge water reservoir, the white water flowing along with the horrific roar gives visitors a unique experience. The best time to see the Tirathgarh waterfall is from October to April, along with the rainy season. Kanger Valley National Park is 34 km away from Jagdalpur in Kanger Valley. This is a ‘biosphere reserve’. Kangar Valley National Park is one of the most beautiful and scenic national parks of India. It is famous for its natural beauty and unique rich biodiversity. Kanger valley was given the status of ‘National Park’ in 1982. Apart from wildlife and tree plants, there are many attractions for tourists inside the park. Like- Kotamsar caves, Kailash caves, Dandak caves and Tirathgarh waterfall . This park also has a large number of tribal population and it is an ideal tourist destination for those wishing to see the best wildlife of Chhattisgarh. The nature lovers, researchers, scientists mainly visit the region . In the flora of the park, there are mixed deciduous types of forest, mainly saal, teak and bamboo trees. In fact, Kangar Valley is the only place in the Indian subcontinent, which is untouched and inaccessible till now. The major wildlife animals found in the Kanger Valley National Park are Tiger, Leopard, Mouse Deer, Wild Cat, Chital, Sambhar, Barking Deer, Wolf, Langoor, Reis Macca, Sloth Bear, Flying Squirrel, Wild Pig, Striped Hyena, Rabbits, Python, Cobra, Kahnal, Monitor, Lizards, and Snakes . In this park one can found vulnerable and critical endangered species such as hillsides, spotted owls, red wild boats, rakit tailed drongo, peacocks, parrots, stapy eagles, red fur phal, reprimand, brown pheasants, tree pies and heron birds. The Kotamsar cave is located near the Jagdalpur in Chhattisgarh. This cave is made by humans, also called ‘Kampola Shankarai Cave’. There are many secrets hidden in the darkness of this cave, which are still being addressed. It is believed that there was a habitation of adivasis in the Kotamsar cave earlier. Blind fishes are found in Kotamsar cave. Many scientists and veterinary scientists have done their research here, and this is the fame of this cave around the world. This cave was discovered in 1951 by renowned geography scientist Dr. Shankar Tiwari. In the local language, ‘kotamsar’ means “fortress surrounded by water”. Geologists have found the remains of prehistoric humans living in this cave. According to their studies, this entire area was completely submerged in the water and it is confirmed by the scientific study of the outer and internal parts of the kotamsar caves. The construction of the cave is also due to the flow of water due to natural changes. The study of the outer and internal surface of this cave made from Lime Stone indicates that it was built around 250 million years ago. ‘Physical Research Laboratory’, Ahmedabad; ‘Birbal Sahni Institute of Pelkotani’, Lucknow and ‘Geo-womb Studies’. Geological scientists of Lucknow have studied the ‘carbon dating system’ in their research, and has talked about the existence of prehistoric humans in this cave. On going down the pagoda, there are three waterfalls one after another. The first waterfall is of thirty feet of height. After getting down from it, there is a dark corridor about three and a half inches wide, forty five inches high and 65 inches long. On the right side there are churning of lime, on which are the signs of water flowing and the columns on the left and the ceiling hanging on the ceiling. The most important thing about this cave is that the pillars that are made here are themselves made in natural way. The calcium that drops with the water droplets gradually took the form of pillars and now the shining columns appear in the cave. The stones of this cave were used by Akashvani Kendra as the Wadi devices, different types of tones were derived from them. Bastar Dashera is the unique traditional festivals held in Bastar Zone of Chhattisgarh State. The relation of the Bastar Dashahara festival to the epic Ramayana is not from the slaughter of Ravana, but its relation is directly related to Mahishasur Mardini Maa Durga. According to legendary description, Ashoka Shukla Dashami had desecrated the oppressed Mahishasura to Mother Durga. This festival continues for 75 days continuously. The beginning of the festival is from the new moon. In the Bastar Dussehra, the Deities of other districts of the state are also invited. Naresh Purshottam Dev, the fourth Chalukyas of Bastar, once offered pilgrimage to Sri Jagannathpuri and offered gold in the temple and gold jewelery etc. in the temple. Here the priest honored King Purushottam Dev with the title of Rathpati. When Raja Purushottam Dev returned to Bastar from Puri Dham, he started the tradition of celebrating the Dussehra festival, and since then the practice of churning in Goncha and Dussehra festivals started. In the year 1725 AD, the people of the Mahra community lived in the Kachhangudi area. Then from the immediate Naresh Dalpat, the head of the tribe asked for wild animals for wild animals. Raja reached this area and gave relief to the people. Impressed by the climate here, the King made Jagatuguda the capital instead of Bastar. The King started the Dussehra festival with blessings and permission on Ashwin Amavasya from Ishtadevi Kachan Devi of the tribe. Since then, this practice has come up. The beginning of the festivities begins with the Patjatra ritual on the timber (scarf hollow) brought from Machchott forest. For this, according to tradition, a yearly wooden ball is brought from the bolori jungle. After wood pooja, it is offered sacrifice and lai-chana of seven Mangur fishes. This year wood made of chariot made of wood is made etc. After the Patjatra ritual, huge chariot construction process is started with the completion of the Deraighedi ritual by establishing a branch of Sarai tree in village Sirsar Bhawan of Birpingpal village. Kachhin Gadi (Padding to Kachin Devi) is the first step of worshiping Bastar Dussehra. Kachin Gadi is a hammock made from Bell Kants. Father Dakshina Kachhangadi worship is the day of Amavasya. In Kachin Nagadi, a girl from Mirgan tribe gets a ride on Kachan Devi, which allows chariot operation and festivities while sitting on the Kachinigadi. Dussehra has done the restoration work. On the day the Bastar Dashahara starts its Navratri program. On the same day, the custom of Jogi Sithai is performed in the ancient town hall of Sirasar. To make Jogi a crater worth a communion of a man is made in the middle part of Sirasar. Within which a person of Halda caste is sitting in Yoga continuously for 9 days. The chariot starts from Jogi Dithai on the second day. The chariot revolves around a certain path every evening (from Ashwin Shukla 2 to Ashwin Shukla 7 continuously) and stands in front of the Gateway of the Rajmahalas. There was a chariot with the first 12 wheels, but due to inconvenience the chariot was divided into two chariots with eight and four wheels. Ashwin Shukla 7 is celebrated on the second day of the closing Parikrama. There is a program of Nishajatma under Durgashtami. Nishajatra reaches the Puja Pav, which is connected to the Itwari market of Jalus Nagar. On 9th day Jogi is said to wound on Mavi. meaning is the establishment of Goddess. Mawali regards the goddess as a form of Danteshwari. Under this program, the Mavali statue brought out in Danteshwari Doli, thankfully with Dantewada is welcomed. In the new clothes, an idol is made by giving a coating of sandalwood and the statue is covered with a whirlwind. On the day of Vijaya Dashami there are programs of Bahini rani on the day of Rani and Ekadashi. A huge chariot of eight wheels is run on both days. Nishajatra rituals are sacrificed for a dozen goats at midnight. There are priests, devotees and members of the royal family are present. In this ritual, the 16th Kanwar (Kanwar), who carries gods and goddesses, prepares Bhog Prasad to make Rajpurohit of Tokalap. Which is transported to Kawad from Danteshwari temple to Jatra site.